We’ve all probably had the same thought while binging Queer Eye on Netflix, soaked in tears and snuggled up in a blanket: We wish that were us. We want the Fab Five to teach us how to cook, how to connect with our emotions, how to style our hair and how to shop (actually, we think we have that part down). Most of all, we want that amazing home makeover! The Aesop Resurrection Aromatique Hand Wash is step one to Queer Eye-ing our lives. Home design extraordinaire, Bobby Berk, even recommends it as one of his favorite items right now on his website! While we may not be lucky enough for Berk to transform our homes into luxury suites, we can begin the transformation all on our own, starting with washing our hands! 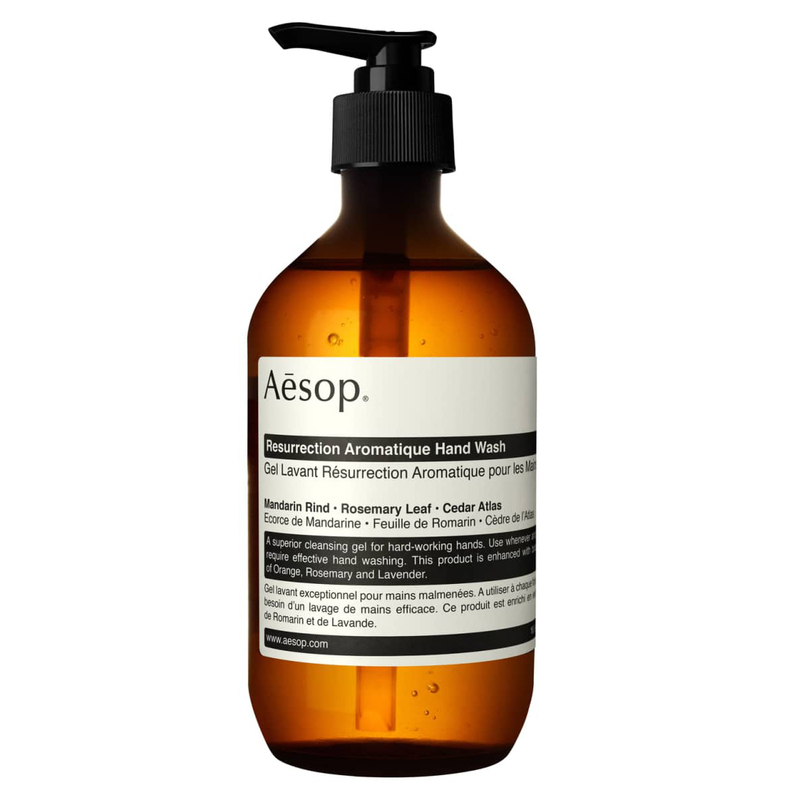 See it: Get the Aesop Resurrection Aromatique Hand Wash for $39 from Revolve! Also available at Nordstrom and Amazon! The soap is no joke. It’s garnering hundreds of positive reviews, and shoppers are saying it’s “completely heavenly,” leaving their hands not only clean, but soft and moisturized as well. One shopper said this soap “elevates [their] bathroom,” even impressing visiting friends! Another described the smell as “just beautiful,” while someone else pointed out that the visuals are 100% “Instagrammable.” No filter necessary. Another happy shopper commented that this soap “also makes a lovely gift for someone.” That goes for the hosts of a housewarming party, a mother on Mother’s Day or just a friend who enjoys the finer things in life. This “superior cleansing gel” is specifically recommended for “hard-working hands.” This doesn’t mean we have to be mechanics or nail artists in order to use it; it just means that it may be effective enough for anyone who frequently uses and washes their hands. It’s a “globally adored” product, which seems almost a little intense for a hand soap, right? Wrong, and we’ll explain why. One of the most important aspects of this soap is that it claims to clean without the subsequent dehydration. Hot water feels great, but it can be harmful toward our skin, leaving us irritated and dried out. We prefer our hands soft and smooth, not rough and cracking. Aesop aims to create nourishing products for the skin, leaving it in “a state of delighted calm” instead of screaming for help (a.k.a. some lotion). Aesop also formulates its products using both botanical and scientifically-validated ingredients to achieve the highest quality possible, and this hand wash is no exception. We can actually begin to pick out some of the ingredients based off the intoxicating scent alone! The scent is a mix of citrus, earth and herb. Some key ingredients inside are Mandarin orange, rosemary, lavender and cedarwood, so this all checks out gloriously. Shoppers say this amazing scent lingers on their hands a bit after washing, so maybe we could even use this soap in place of a perfume! 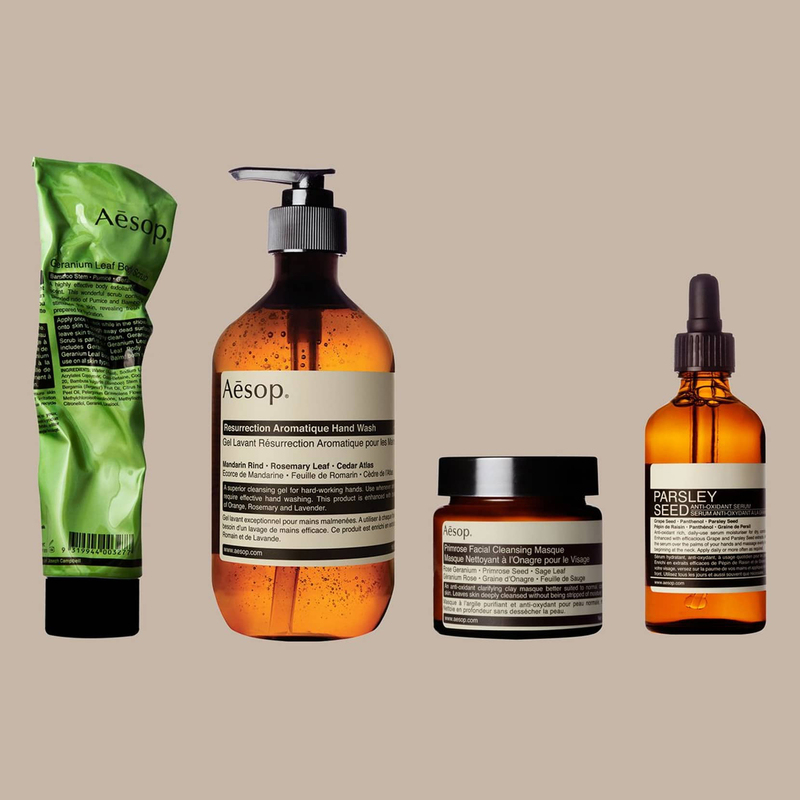 Because Aesop only uses high-quality ingredients, that means it leaves out the nasty ones. This hand wash is free of parabens, animal ingredients and color additives. It’s cruelty-free, too, with no testing on animals! Purr-fect. This Australian-made soap may feel luxe, but that doesn’t mean it requires any special skill to use. Just dispense one pump into wet hands, lather and rinse! The only reason washing our hands may take longer than usual is because we’ll enjoy the feel and fragrance of this soap so much that we won’t want to rinse just yet! A good hand soap can make a much bigger difference in our life than we may realize. Keeping our hands healthy means our manicures will look that much more fabulous and we’ll actually want to wear and show off our rings. It can also make the rest of our skincare routine that much more relaxing, since we won’t be arduously “gliding” our callused fingers over our cheeks, leaving scratches when we just wanted to cleanse and moisturize! Anything that Berk recommends automatically shoots up to the top of our shopping list. He’s a genius, to say the least, and we may or may not trust him with our life, so of course, we’re going to trust him with our hands! Now we just need the rest of the Fab Five to be our best friends forever. Deal? Looking for something else? Check out more from Aesop here and other skincare available at Revolve here!